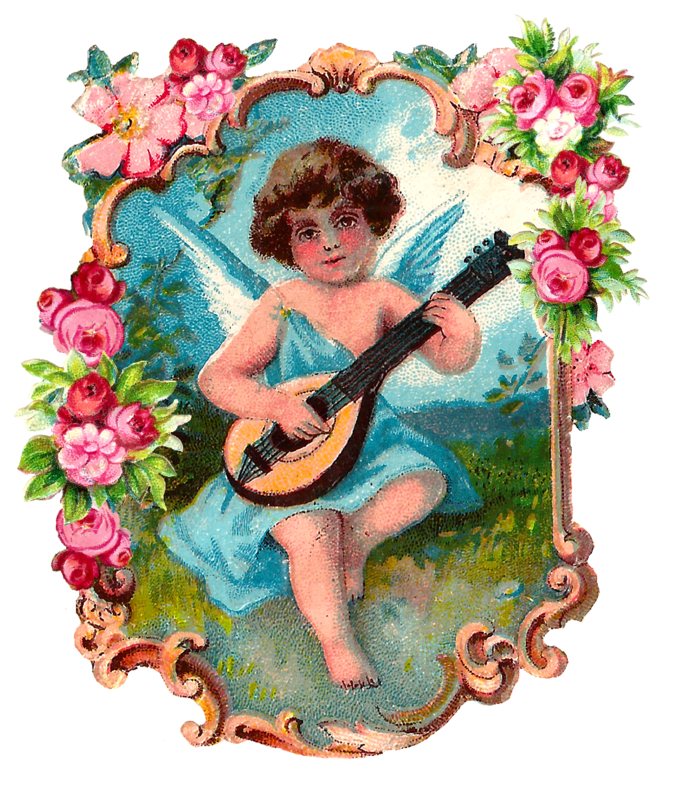 What a lovely digital angel clip art download! Today I've posted a very pretty digital angel image download of a pretty angel playing a mandolin. The lovely angel in a blue wrap is within a charming, flourish frame with flowers. The original Victorian paper scrap was heavily damaged, so I digital added some rustic rose images, which makes the image pop! 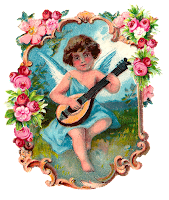 Decorating gift tags, Valentine's Day greeting cards, or scrapbooking pages, this vintage angel clip art will add lots of beauty to any crafting project. 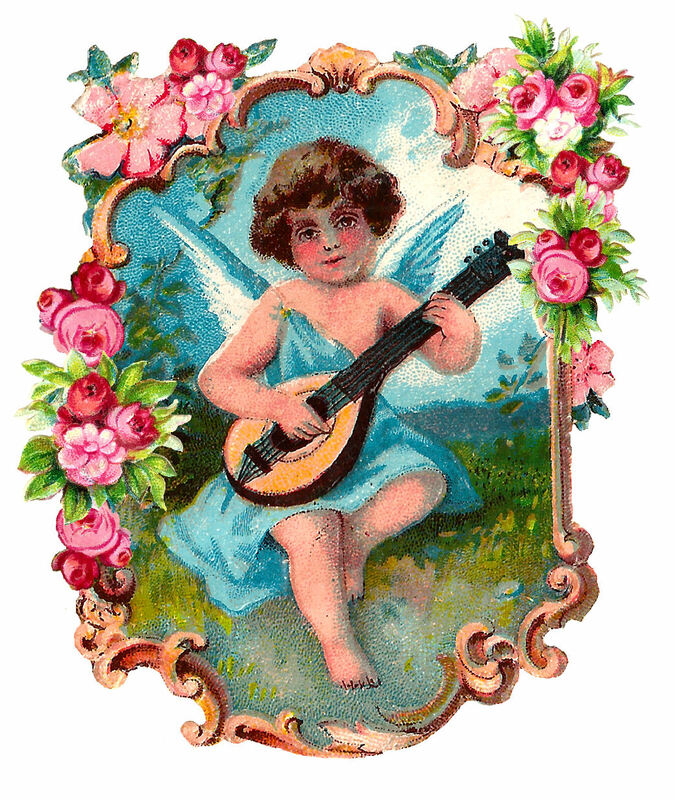 Actually, this digital angel image reminds me of a vintage perfume bottle label.